Photo of FC-E9 and Coolpix 8700 with the UR-E12 conver tube. Note that the camera/lens is sitting on an Agnos MrotatorB tripod head. 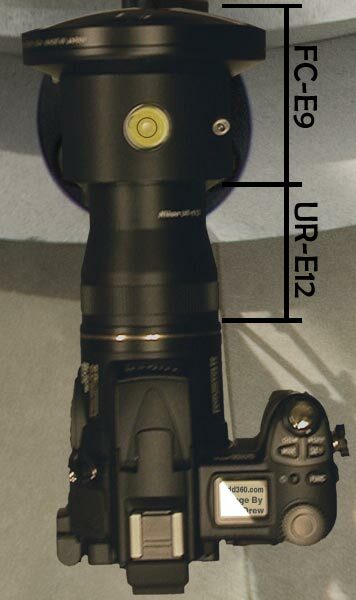 This head clamps around the FC-E9 and has the bubble level. This page was last edited on 30 October 2005, at 08:51.